Profile: With Rowling Hall, The McCombs School of Business is raising the bar for spaces that promote interaction, collaboration and academic growth. When completed in 2017, Rowling Hall will include an auditorium and a special events venue in conjunction with the AT&T Executive Education and Conference Center. But the real jewels are the learning environments for MBA and MSTC (Master of Science, Technology Commercialization) students-ranging from tiered classrooms and flat classrooms with adaptable seating, to the Texas Venture Labs (TVL) startup accelerator, to Active Learning Classrooms (ACLs), circular spaces, breakout rooms, and myriad "invention nooks." 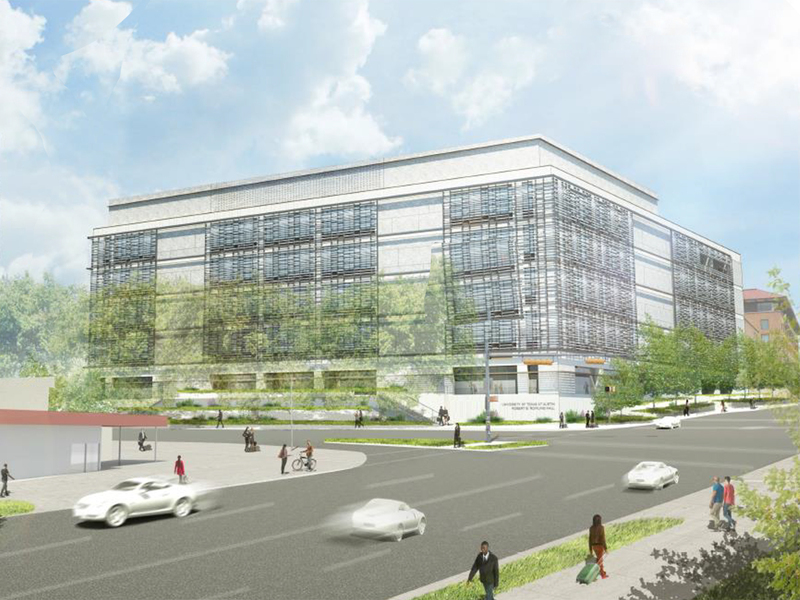 The project includes 50,000-SF Conference Center expansion and a 525-space parking garage.